Michael Cave is a retired senior vice president of The Boeing Company, the world's leading aerospace company and the largest manufacturer of commercial jetliners and military aircraft. He joined the Ball Corporation board of directors in 2014. He served Boeing for 31 years, most recently as president of Boeing Capital Corp., a wholly owned Boeing subsidiary responsible for arranging, structuring and providing financing for Boeing's commercial airplane and space and defense products. 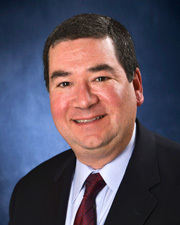 Prior to that, Mr. Cave served as senior vice president of business development and strategy for the corporation; senior vice president and general manager for Boeing’s commercial airplane programs; chief financial officer of Boeing Commercial Airplanes, and vice president of finance for Boeing Information, Space & Defense Systems. In addition to Ball Corporation, Mr. Cave currently serves on the board of directors for Harley-Davidson (NYSE: HOG) and Aircastle Ltd. (NYSE: AYR). In the past, he served on the boards of Private Export Funding Corporation, The Seattle Symphony, The Goodman Theatre, and the United Way of King County. He was named one of the 100 Most Important Hispanics in Technology and Business for 2006 by Hispanic Engineer and Information Technology magazine and is a Fellow in the Royal Aeronautical Society.